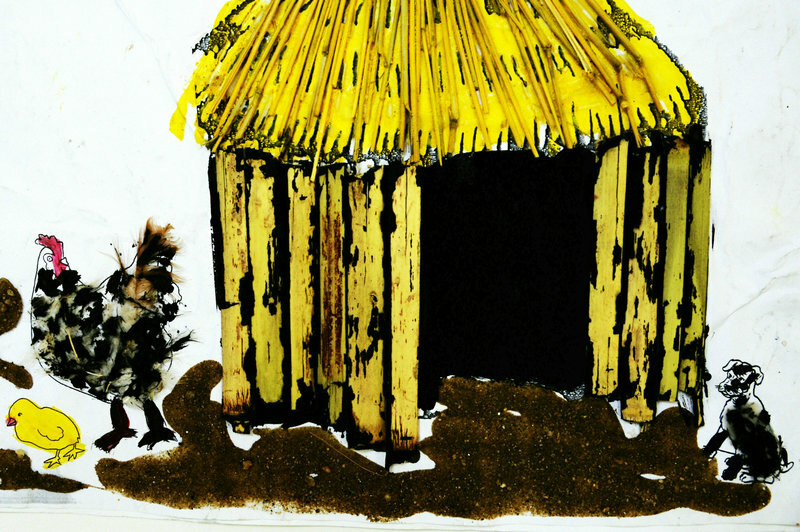 In the Namibia girl’s eyes, the dog and chicken are aware that one room cannot have two masters. With this in mind, the dog is waiting for the room to be vacant. The hen knows that it’s time for her to look for new frontiers.